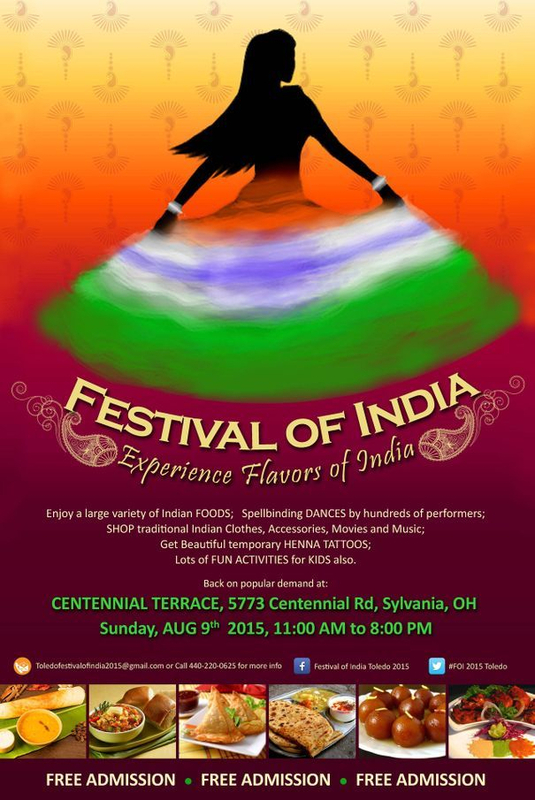 FESTIVAL OF INDIA is Toledo’s marquee cultural event, a window into India, hosted by the community of Asian-Indian heritage for the last 26 years. · Experience flavors of India and a Bollywood style musical – “Bollywood Tamasha” (“The Great Bollywood Show”) and lots of Folk and Classical dances. Centennial Terrace will be set up to create the ambience of India. · Live India percussion music (Dhol), colorful dresses, Melodious music, Indian classical and folk dances, temporary henna tattoos in beautiful Indian designs, Lots of shopping (Indian clothes, jewelry, music, movies, books, arts & crafts)! · Over 200 dancers, choreographers and volunteers put in thousands of hours over six months to prepare for the festival. · Expecting four to five thousand guests from around the greater Toledo and NW Ohio area. · Catch Festival updates on all major Newspapers (Toledo Blade, Toledo City Paper, and Sylvania Advantage) TV channels (Fox, CBS, ABC) and Radio Stations. 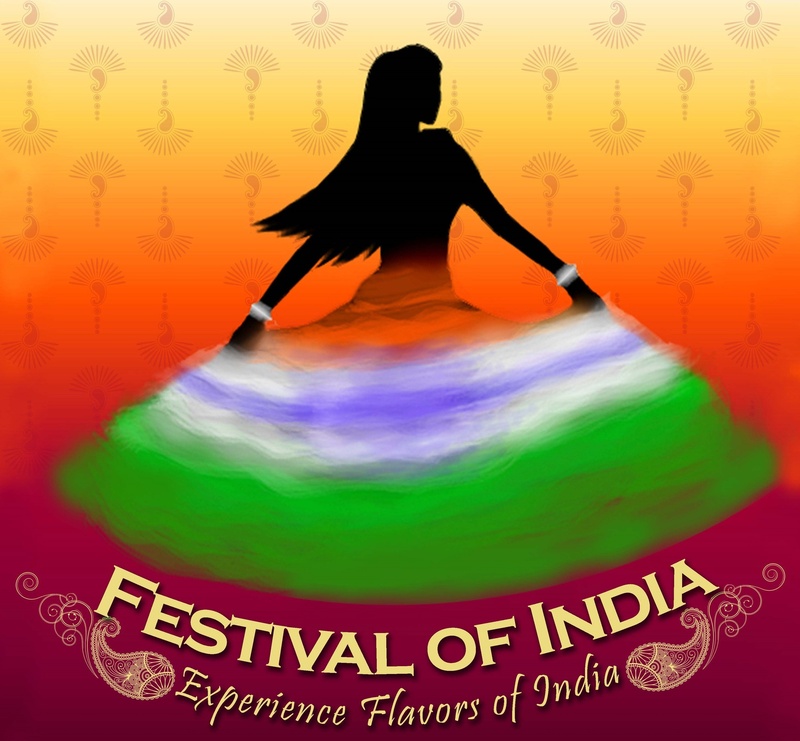 Come, Experience the Flavors of INDIA! From Classical to Contemporary, we got it all!